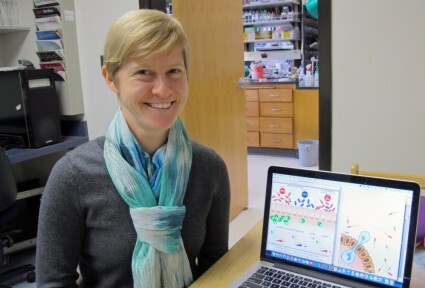 The findings of this study provide a path to study the function of each bacterial species in the gut and to eventually, perhaps, predict and prevent disease, says lead author Annah S. Rolig, a postdoctoral researcher in the UO's Institute of Molecular Biology. In the project, researchers watched for immune response as isolates of species of bacteria, normally associated with healthy zebrafish, were introduced one at a time and in combination into previously germ-free intestines of the fish. In a telling sequence, one bacterial species, Vibrio, drew numerous neutrophils, which indicated a rapid inflammatory response in one fish. Another species, Shewanella, inserted into a separate germ-free fish barely attracted an immune response. In a third germ-free fish, both species were introduced together and assembled with a ratio of 90- percent Vibrio to 10-percent Shewanella. The inflammatory response in the third fish was completely controlled by the low-abundance species. 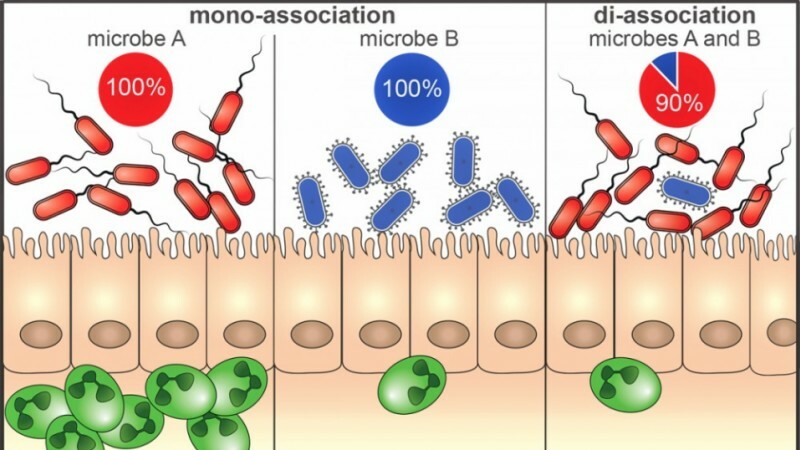 Low counts of a bacterial species generally have been discounted in importance, but slight shifts in the ratios of abundant microbe populations have been thought to have roles in obesity, diabetes and inflammatory bowel diseases such as Crohn’s disease. The keystone — an important participant that functions to regulate a healthy microbiota — may reside in low-abundant bacterial species. The research team found through additional scrutiny that these species secreted molecules, for now unidentified, that allowed them to dampen the immune response to the whole community. "Now we've shown that these minor members can have a major impact. If we can identify these keystone species, and find that in a disease state one species may be missing, we might be able to go in with a specific probiotic to restore healthy functioning," said Rolig, who also is a scientist in the National Institutes of Health-funded Microbial Ecology and Theory of Animals Center for Systems Biology, known as the META Center, at the UO. To develop a model to capture per-capita contributions of microbes in a population, Rolig and her co-authors — biology graduate student Adam R. Burns, microbiologist Brendan Bohannan of the Institute of Ecology and Evolution and biologist Karen Guillemin, director of the META Center — turned to UO physicist Raghuveer Parthasarathy. His math-driven model, detailed in the paper, provides formulas that predict collective inflammatory responses of combinations of bacteria.